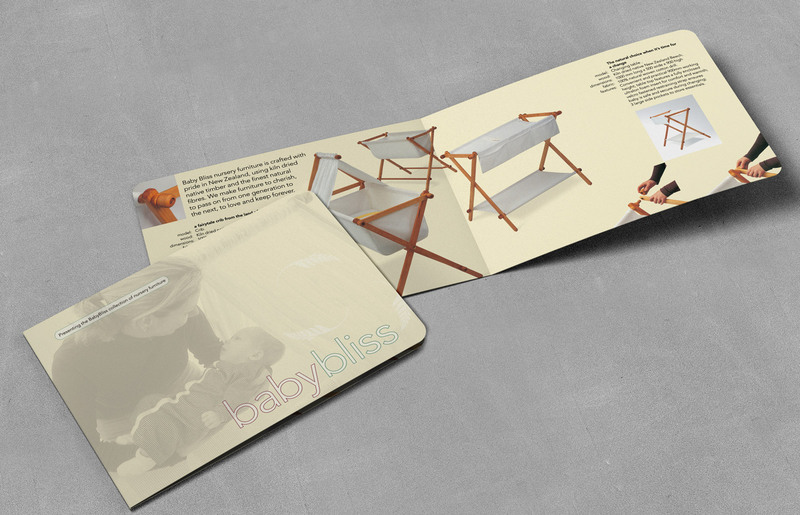 BabyBliss nursery furniture collection A5, bifold landscape brochure. Baby Bliss nursery furniture is crafted with pride in New Zealand, using kiln dried native timber and the finest woven cotton. Baby Bliss is a family business that makes very durable nursery furniture by hand, with care.